The Genealogy Guys will be participating in a great genealogy cruise In February and we'd like to invite you along! The Villages Genealogical Society (VGS) in The Villages, Florida, is hosting their second Caribbean Cruise on February 2nd to 9th, 2019, and they've opened registration to everyone! We're sailing on the Norwegian Cruise Line's gorgeous Epic, departing from and returning to Port Canaveral, Florida. It will visit the ports of Great Stirrup Cay (Bahamas), Falmouth (Jamaica), George Town (Grand Cayman), and Cozumel (Mexico). The speakers include: Blaine Bettinger, Ph. D., J.D. 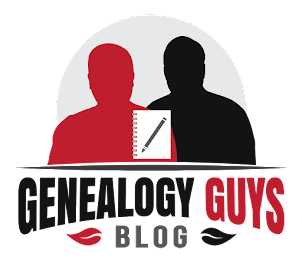 ; The Genealogy Guys - George G. Morgan and Drew Smith; and C. Ann Staley. Each presenter will give three (3) lectures - a total of TWELVE LECTURES - and they will spend lots of time with the cruisers. Full details about the ship, the speakers, the program, and more are available at https://vgsfl.org/cpage.php?pt=167. Make your reservations NOW. There are only 50 cabins available at The Villages' Genealogical Society's group pricing, and there are still a few left. A $500 deposit is required to reserve your cabin, with final payment due on or before October 1, 2018. The Genealogy Guys, Blaine, Ann, and the VGS are all excited about this wonderful cruise, and you will be too! Mark your calendar, make your reservations, and join us for a fantastic winter genealogy getaway cruise in the Caribbean!